« Climbing a Stairway to 7, or maybe, 77? Requirements: Spooky music and spooky look. You will find some spooky music here. 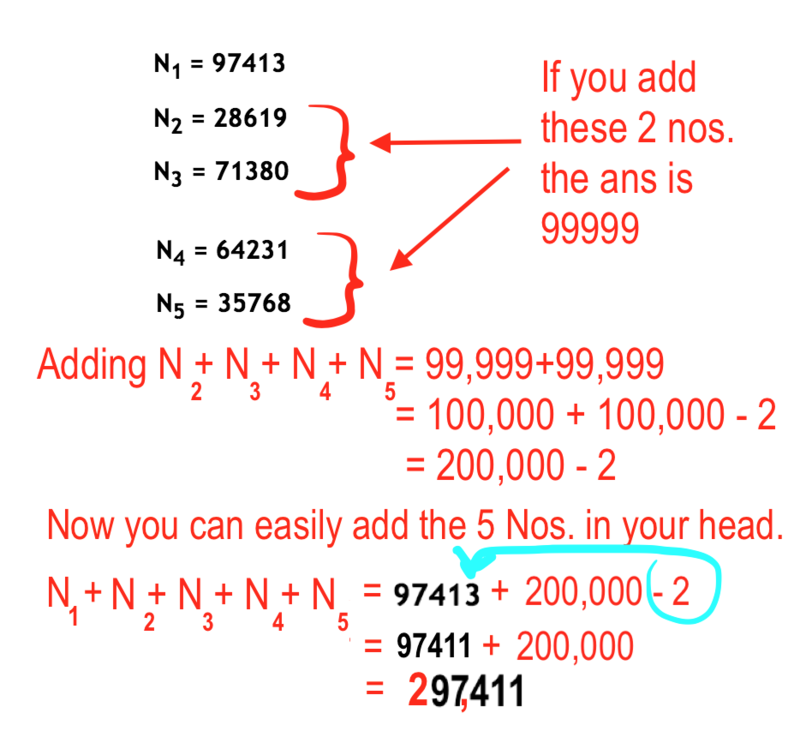 Tell your students you will beat them adding up 5 x 5 digit numbers in your head when they are using calculators. 1. Ask a student to write down 2 x 5-digit numbers on the board. 2. You rapidly write a 5-digit number underneath. 3. Ask another student to write another 5-digit number. 4. You write another 5-digit number quickly. 5. You have 5 by 5 digit numbers. Say ‘Go’. You instantly write down the answer. Hint: When you get your students to add up the five 5-digit numbers on a calculator you will beat them, but they will also get many different answers as a number of students will key incorrect numbers.